To start, take 1/2 to 1 tsp once or twice a day on an empty stomach. After a few doses, your intuition will assist you in fine tuning the amount you take and how often. Hold the manna under your tongue if you choose to not mix with water for a while before swallowing. Always use a plastic spoon, preferably a plastic tablespoon, when taking your manna. NEVER, EVER DRINK FROM THE BOTTLE! Manna is an extremely life-supporting and life-sustaining material, so any germs or other biological matter introduced into the bottle from your mouth can quickly grow and multiply and spoil your manna. 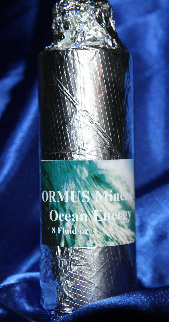 Taking ORMUS Minerals consistently will help our bodies have more energy to also help to maintain the body's well being. This is what seems to work for me as I know that I am getting my daily dose by drinking the 16 oz bottle of water during the day. A 1 tbsp. plastic measuring spoon works well for this, with room to prevent dripping. How to use it is start with about a half teaspoon to a teaspon twice a day. If you take too much at the beginning you may go into a “healing crisis” as your body detoxes. One way of taking it is to mix the Ormus Minerals with a bottle of spring water and drink it which is prefered but you can drink it with your favorite juice. The problem with swallowing is the HCI in the stomach acid affects the precipitate. So for the best energy effect it is best to let it dissolve under your tongue directly into your bloodstream and no more than a teaspoon a day. This is a good guidline but as you take it you can tell by how much energy you have if you are taking enough or too much. Water is the universal solvent. That is, water will dissolve almost anything. Once water dissolves a substance it can then carry and deliver the dissolved substance. Many examples of the dissolution, transport and delivery functions (DTD) of water can be found in our bodies, our planet, our modern conveniences. It’s fair to say that without water, we would not exist. One of the keys is the minerals in the water. Calcium, which is abundant in my source, naturally forms hexagonal water clusters around it. Manna extracted from the Dead Sea contains up to 70% M-state gold. Suggested usage as a dietary supplement is one teaspoon per 150 lbs. body weight, AM and PM. You want more non-dead sea ormus for physical repair.